Natural Body Butters are extremely benificial when your skin is need of extra moisture and when your regular lotion isn't quite keeping up with your skin's requirments. This can be due cold dry winters, dry summer heat or you may be someone that suffers from chronic dry skin. What ever the case may be these butters are all made to deeply moisturize, provide nutrition, heal damaged, dry or chapped skin and lastly provide a protective barrier that prevents further damage. The following natural products have everything your skin needs to stay healthy, hydrated and happy no matter which enviroment your skin faces. 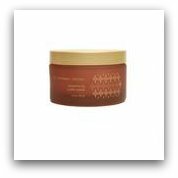 John Masters Cacao and Cupuacu Body Butter This butter moisturizes dry skin, smooths rough spots and balances and tones skin. It reduces the signs of aging, protects against free radical damage and reduces the appearance of stretch marks, scars and blemishes. Capuacu Butter locks in moisture and restores skin elasticity, Cocoa Butter fades blemishes and stretch marks, Cranberry Seed Oil acts as a powerful antioxidant and is also one of the best sources of essential fatty acids, Shea Butter smooths, moisturizes and balances skin tone. 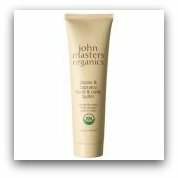 John Masters products are free from Parabens, Petrochemicals and other harmful ingredients. NaturalEve Intensive Dry Skin Balm-Fragrance Free This body butter is ideal for sensitive, dry and damaged skin. 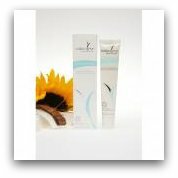 It deeply moisturizes, repairs and protects skin. Ingredients such as Shea Butter, Virgin Olive Oil, Jojoba Oils, Coconut Oil and Pomegranate Seed deliver everything your skin coould need. Together they heal and moisturize dry, damaged skin, they fade stretch marks and scars, smooth bumps and rashes, even out skin tone and provide all day protection from the enviroment. This product is certified 100% Organic. red flower-hamamm-tangerine fig butter cream This is a rich deeply penetrating butter that is surprisingly light and is very easily absorbed. Shea Butter, Black Olive Butter and Fig moisturize and provide protection for your skin. Jasmine, Fir, Oakmoss, Pink Grapefruit and Tangerine Essential Oils all calm, soothe and heal damaged chapped skin with out clogging up pores. red flower products are free from Parabens, Sulfates, Petrochemicals and Synthetic Preservatives. Trilogy Everything Balm This balm is for all skin types but is especially beneficial to aging skin. This is a product that once you have it you can't live without it. It really is good for everything. You can even use it as a lip conditioner! Keep this product on hand or in your purse and you will always have soft smooth skin whether its your elbows, hands, lips or feet. This is a product I always make sure I have, especially in dry winter months. 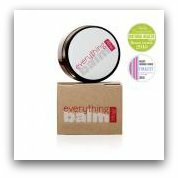 Trilogy Everything Balm contains Beeswax, Marula Kernal Oil, Evening Primrose Oil, Wheat Germ Oil, Jojoba Oil, Olive Oil and Vitamin E. All of these ingredients have very potent skin conditioning and healing properties that can whip dry chapped skin into shape or prevent it from occurring in the first place. Trilogy products contain no Parabens, Petrochemicals, PEG's, Pesticides, Synthetic Colors and Fragrances or Harsh Surfactants. 100% vegetarian all products and packaging are biodegradable. 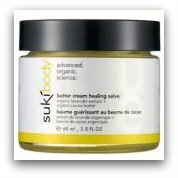 Suki Butter Cream Healing Salve Suitable for all skin types this non-greasy organic balm moisturizes, heals and protects and is specially formulated for eczema prone and those that suffer from dermatitus. This product is a blend of organic pressed fruit oils, organic Lavender Extract, Shea and Cocoa Butter and other organic healing herbs. This combination of ingredients provides long lasting soothing relief and prevents any skin irritations from coming back. This is also a good treatment for stretch marks, bruises and rough elbows and feet. Very gentle this healing salve can even be used on babies. Suki products are 100% natural and over 90% organic. Fight dry skin with one of these natural body butters and enjoy silky smooth healthy skin!